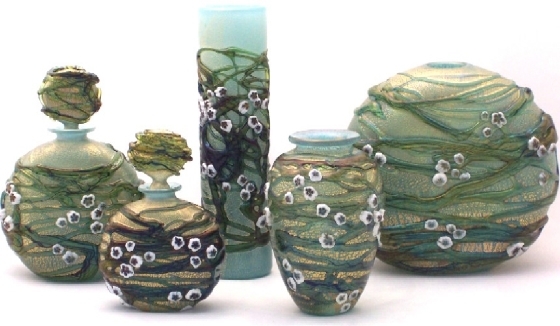 This design was exclusive to Artius Glass and was only available directly from them during 2007 and shortly thereafter. There was only one colourway called 'Jasmine'. The full Blossoms range available. Image courtesy of Artius Glass. 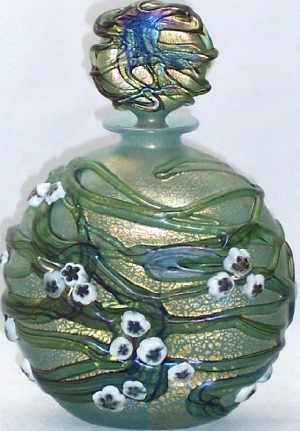 Perfume bottles were available in two sizes: 11 cm and 14 cm high. The stoppers were flattened. Image courtesy of Artius Glass.